You're going to be SO happy you saw this post :) Today's Kindle & Me's stop for the Airel-Arson-Pyxis Blog Tour!We're going to have a guest post by Estevan Vega followed by an excerpt from his book Arson. There's amazing prizes to won at this tour - at the end of the post, there's a rafflecopter through which you can enter to win a Kindle! Awesome right? The author's also willing to give away an e-book copy of his book! To enter for that, follow the instructions on the second rafflecopter. To follow the rest of the tour just click on the tour badge at the top of this post! Simple enough right? Okay then. Estevan Vega started writing at the young age of 10 and by the age of 15, Vega had published his first novel, Servant of the Realm. His second novel, The Sacred Sin, followed three years later. But when he was 17, he began a very different kind of novel, his most raw and personal and emotional novel to date, ARSON. So this one doesn’t need a whole lot of explanation. Title says it all. What you’re about to read is the first interaction between Arson and Emery, the two main teen characters of the book. Enjoy, and it’s okay to feel a lil nostalgic. After all, if you can’t live vicariously through a firestarter and a girl who wears a mask, who can you live vicariously through? Emery eased toward the strange boy lying facedown in the water. Weighing her steps. Counting her heartbeats. One. Two. Four. No, go back one. She made a mental note not to get worked up one bit, told herself it was nothing, but that didn’t stop chills from racing up and down her body. Part of her struggled to calculate what she might say; the rest of her wondered what he was doing. Was he coming up for air? He was so still. Emery studied him, his back arched against the surface enough to stay afloat. No signs of movement. Who exactly was he trying to impress anyway? Maybe her mother wasn’t completely wrong; maybe this boy and whoever else occupied the shack behind her really were from some strange, distant world. Is he ever coming up? Emery checked her watch, beams of sunlight reflecting from Mickey Mouse’s nauseatingly joyous grin. His smiles had seemed like miracles when she was five, but there was nothing funny about a boy drowning himself. This wasn’t a game anymore. Perhaps this was a—if he would simply move, kick his leg or something, then she would know he wasn’t dead. Oh no, she thought. Anything but that. She never liked to admit it, but watching people die terrified her, right down to her bones. It always made her question what lay on the other side. Heaven or hell? God or the devil? At the thought, Emery fidgeted, thinking back to the time when Tina, her cousin, had been found on the bathroom floor, eyes rolled back in a deep sleep. The panic of that night revisited her now. The slow breaths that followed felt like a spell, a spell that even now forced fear upon her. It was a miracle her cousin had survived. That was more than enough drama for an entire lifetime. Alien boy didn’t move. He’d been under the water now for over two minutes. “Not again.” She winced, diving from the dock headfirst into the lake. As she hit the water, her mask slipped off. Swimming underneath the boy, she fought to bring him up for air. Suddenly, his eyes opened. Paralyzed in fear, she screamed, heart racing, her throat swallowing the bitter water that fought to enter. She sank deep. He noticed her, but she wasn’t ready for those eyes. Immediately, the boy went into a panic. Bubbles popped from his mouth as he emerged. The mask drifted by him, startled him. He reached out to grab it, taking in more oxygen. Emery’s ferocious struggle to breathe outweighed logic. He tried to help her, but she rejected him. Her fingers slid down her face; the rough spots of the scars made her regret diving in at all. What was she thinking? The fate this boy might have endured would have been better than seeing her without her face. “Where is it?” Emery said, shivering. The cold water stung in spite of the summer’s heat. A black shirt hugged his chest. Jeans clung to his waist and sagged as he started to climb up the dock. “Are you insane? I was trying to save you from making a colossal mistake!” Emery was nervous, painfully nervous. “I don’t need anyone to save me,” the boy spat, brushing back his soaked, ash-brown hair. “What are you talking about? And why are you covering your face?” he asked, staring down at her from the dock, eyes locked. out of my misery, she thought. Click here to see my review of Arson. Book #2 in the Arson Series - Ashes - was just released in e-book & paperback! Check it out! Enter the Kindle (Wi-fi) Giveaway through the Rafflecopter below! Arson Gable feels like a freak. He can create fire. He never asked for it. He never wanted it. But he can't shut it off. Before now, three things were true: he both loved and despised his grandmother; his life was going nowhere; and he was alone. 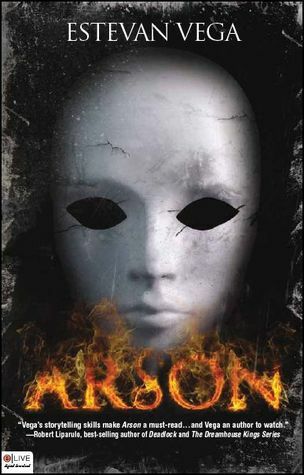 But when a strange girl--who feels more normal behind a mask than inside her own skin--moves in next door, Arson hopes to find something he's never had: purpose. Using what he fears most about himself, Arson must face his consuming past and confront the nightmare that is his present as he walks the fine line between boy and monster. Corinne lives an average teenage life working at her dad’s cafe, hanging out with her best friend, and trying to forget a falling-out with her almost-boyfriend Mason. Things take a strange turn when she uses her late grandmother’s food dyes for a bake sale, and her customers suddenly find her irresistibly alluring. Then she discovers she and Mason are haunted by the same dreams of a dark force that consumes everything in its path. Pursued by shadowy figures and a crazy woman with secrets from the past, Corinne must find out who her grandmother really was. In her quest to unravel her family’s history, she learns she is destined to protect this world--and the dark world of her dreams. 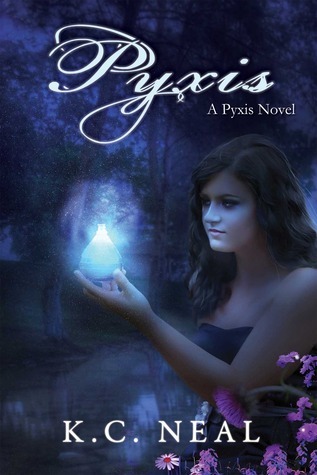 She races to find the answers she seeks before her nightmares break free. 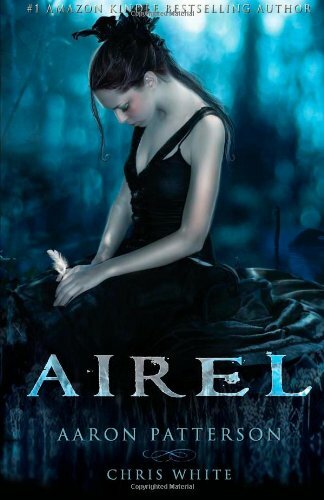 Airel is a story about an angel who falls so deeply in love with a woman that he chooses to fall from heaven to be with her. She gives birth to a daughter in Arabia, 1250BC. The girl is pursued ferociously, relentlessly by an enemy in the deepest darkness. In present day Boise, Idaho is just a girl: Airel. She's just your average high school student...who turns out to be anything but average. It's because of who she is, because of her ancestry, because of her lineage. Past and present crash in on each other in the final pages as what has been twisted comes dangerously unraveled. After reading all the reviews I'm definitely interested in reading these. Now, I just hope I can find the time! :) If I win the book, it'll definitely go on my TBR. Sounds great. What an accomplishment being published so young. Should be a nice book! Very exciting except! Excited to read more! I lovev reading excerpts as they give me a very good idea of how the author writes. They often determine whether I read a book or not. I am definitely going to read this one. Of course I enjoyed it! Can't wait to read it! Yes, I am officially intrigued! I think that Arson has definitely grabbed my attention. I really need to know what is going to happen now :) Thank you so much for sharing with us and for this awesome giveaway opportunity. I think I would love to read Arson, the trailer was kool. Thank you for the giveaway. I loved the excerpt! Thanks for giving us that opportunity and for the giveaway! I am really loving a main character with a mask! I liked both the excerpt and the video trailer. Awesome excerpt! Great Blog Tour! Thanks for the giveaway! Great review! This is something scary and unusual, but worth reading. Thank you so much.